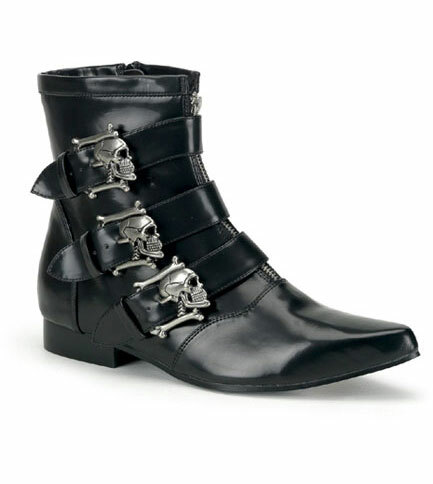 These pointy toe skull buckle boots will take you back. 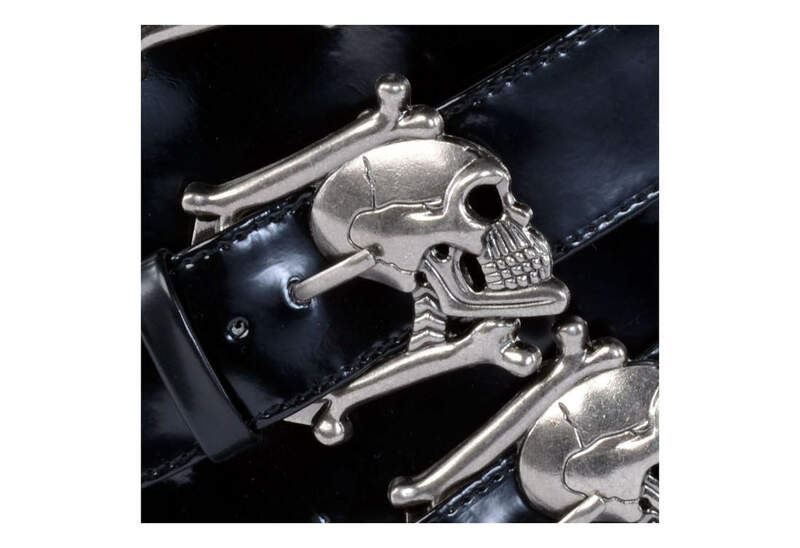 They take the classic skull buckle boot to new era. 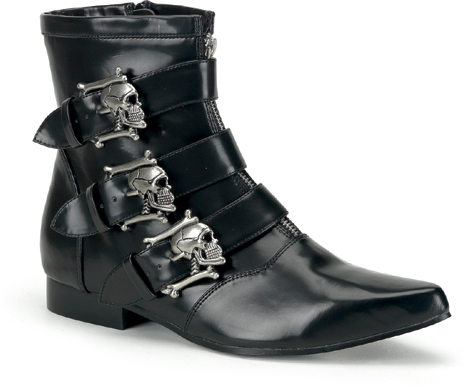 These boots are made of black nappa PU and have three re-invented skull and bones buckles. 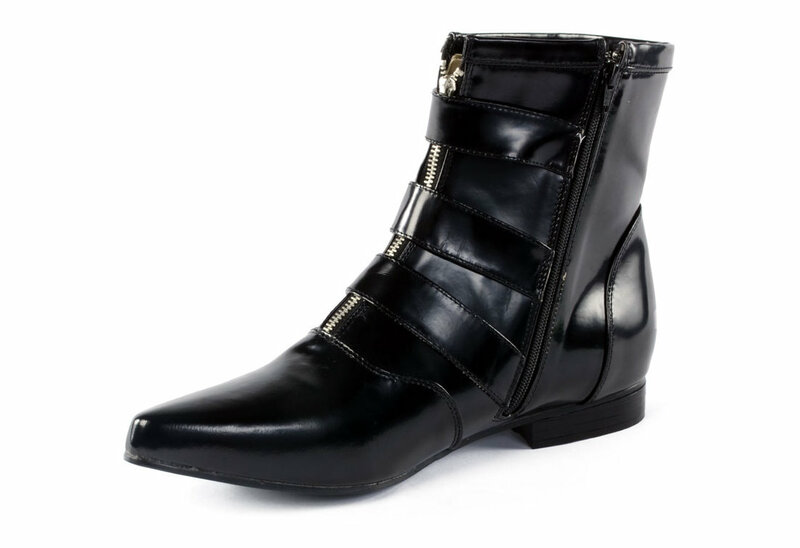 If you are looking for an old school gothic boot these are the ones for you. These are very nice looking shoes, but beware i only wore them out about 5 or 6 times and both heels came off. I've yet to drop off at shoe repair to have new heels put on. The heels are kind of slippery on tile flooring so i will probably be better off with the replacement heels. Still nice looking shoes. Don't let the heel issue persuade you from purchasing them. 10 people found this usefull. Was this review helpful to you? These are very nice looking shoes, but are not for everyday wear. The heel is not very hardy, and gets worn down extremely quickly. The material scuffs easily, and with the pointed front this is a danger if you are out-and-about in them. I recommend them for special events only, and not at all for outdoors. Worth the price, but you do have to keep them safe. 20 people found this usefull. Was this review helpful to you?